Healthcare experts recommend increasing the amount of fruits and vegetables we eat to maximize health and minimize the risk of chronic diseases like heart disease, cancer and diabetes. 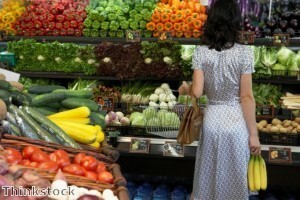 But stocking up on produce can derail your food budget. There are several parenting advice tips to help fathers keep their grocery bills down when shopping for fruits and vegetables. 1. Buy what’s in-season. By purchasing items that are plentiful at a certain time of year, you’ll not only save money but also ensure that you have a great-tasting product. 2. Buy local. Seek out farm stands and farmer’s markets to not only get fresher produce, but to pay less as well. 3. Plant a garden. Even a little bit of land and a small harvest will help offset the cost of buying all of your produce at the store. Talk to local experts about what grows best in your climate and get started! 4. Consider frozen items. They have the same nutritional value as fresh and are often much cheaper. 5. Store produce properly. Even if you get a great price, if your fruits and veggies go bad before your family eats them, you’re wasting money. Try to buy fruit at different stages of ripeness to ensure you’ll have a good supply until your next shopping trip. Remember that many fresh produce items freeze well too. Stock up on in-season foods when you find a good price and freeze them so you can enjoy them when they’re much more expensive to buy.